Batman Beyond: Return of the Joker (2000) | 'TAIN'T THE MEAT… IT'S THE HUMANITY! After the runaway success of Tim Burton’s Batman (1989) and Batman Returns (1992) Warner Bros. made the not-too-surprising decision to commission a weekly animated version of the Dark Knight, entitled Batman: The Animated Series (TAS). Several ideas for the tone of the show were kicked around until the powers that be settled on animator Bruce Timm’s suggestion that the show should feature a more Noir feel than previous animated incarnations of the character. This series would incorporate some aspects of the Burton rendition – the darker tone for example – but would thankfully jettison the more gothic (and let’s face it, stripey, over the top, Burton-esque) excesses of the live-action version. The new shows’ style, labelled Dark Deco, would prove an instant hit with the fans and the series ran for almost 8 years and delivered over 100 episodes. In 1999 Warners announced their decision to commission a new Batman series, but this time it would be set almost 40 years in the future. This series, Batman Beyond, would feature a completely new rogues gallery of villains and, controversially, an all-new Batman. Instead of Bruce Wayne the new Batman would be reformed street punk Terry McGinnis and although Wayne would still appear in the show it would be as a supporting character only. This news was met with chagrin from the fans, myself included. Why were Warners trying to fix something that wasn’t broken? The news that Kevin Conroy – to many the definitive voice of Batman – would be returning as the voice of Wayne mollified me a little but I remember being non too hopeful when the series aired on Cartoon Network in early 2000. Luckily my, and the fans, fears were unfounded – the new show was a great success. This new Batman series kept the same serious tone of the original but without the emotional baggage and darker feel of the original. The show maintained the high level of animation and the stories were well crafted and entertaining. Such was the success of the show that in 2000 Warners commissioned a direct-to-video movie. 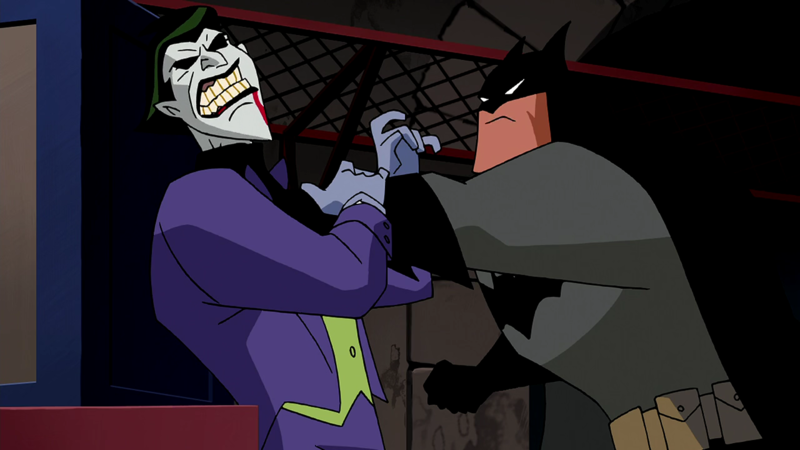 Long-time Batman: TAS writer (and fan favourite) Paul Dini was hired to write the script, Timm would act as Producer and the experienced Curt Geda was brought on to direct the film which was titled Batman Beyond: Return of the Joker. Instead of just bringing back the villain for shock value the decision was made to use this new film as a bridge between the older series and the new show. In this movie we would discover the shocking events that prompted Wayne to retire as Batman and we would learn the ultimate fate of the Joker. And the film’s a treat. It’s action packed and does all it’s story-telling and exposition on the run. The Joker’s return is logical and intelligently handled and the film’s conclusion is extremely satisfying. Where the film really shines though is in it’s second act, where we discover the reasons for the original Batman’s retirement. Here the film takes on a much darker tone and is surprisingly hard-edged for a general release animated film. Gone is the playful, slightly camp version of the Joker – here is the twisted psychopath hell-bent on mayhem for it’s own sake. However, this stronger tone rattled Warners, who made the decision to release the film with some of the stronger scenes removed, a move that enraged the fans. After a short and bitter online campaign Warners relented and released a ‘Directors Cut’ of the film and it is this version that is available on Blu-ray at the moment. 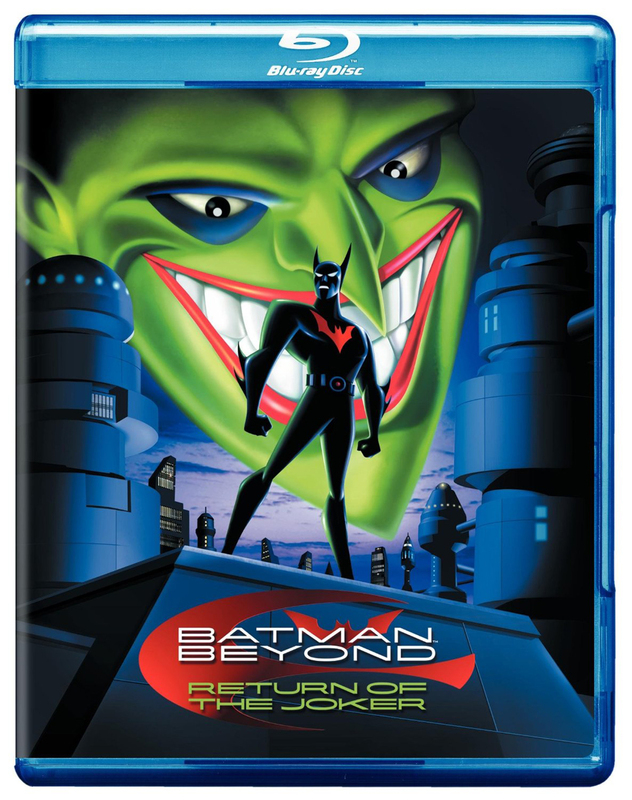 Before the recent Christopher Nolan helmed incarnation of the character Batman Beyond: Return of the Joker was considered by many of the fans, myself included, to be the best of the Batman movies, no mean feat considering it’s 76 minute runtime and limited budget. Although the new live-action versions has been celebrated for their grittier, darker tone they are surprisingly not as dark as this film – the revelation of the Jokers final crime is strong stuff and hasn’t lost any of it’s power to shock. Highly recommended.